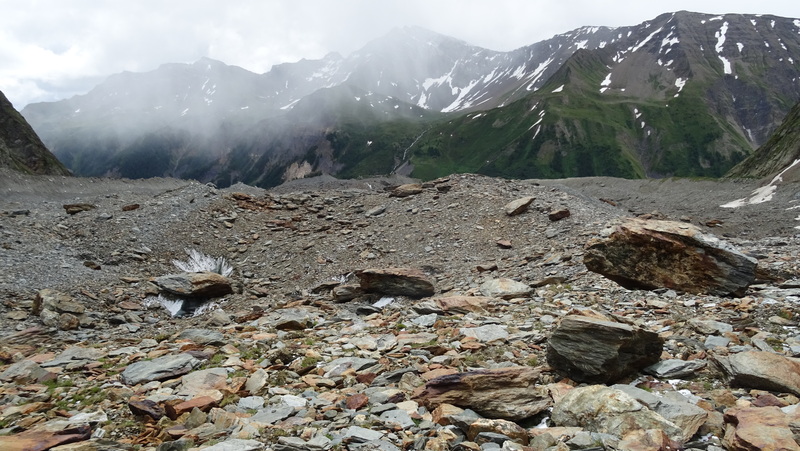 On the moraine of Miage glacier. 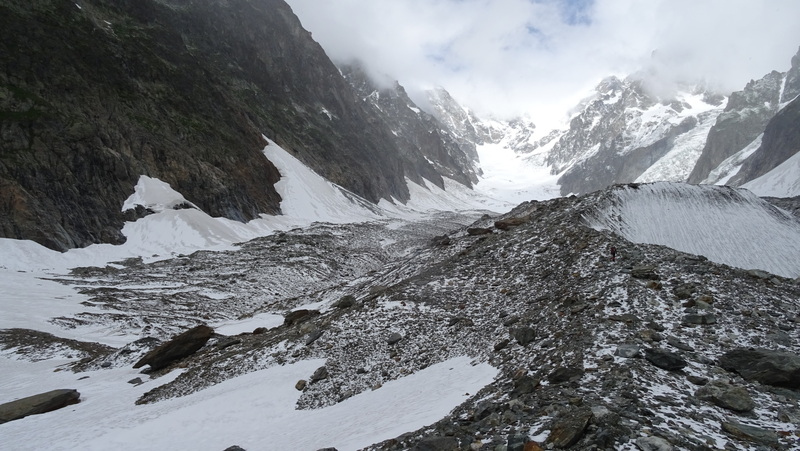 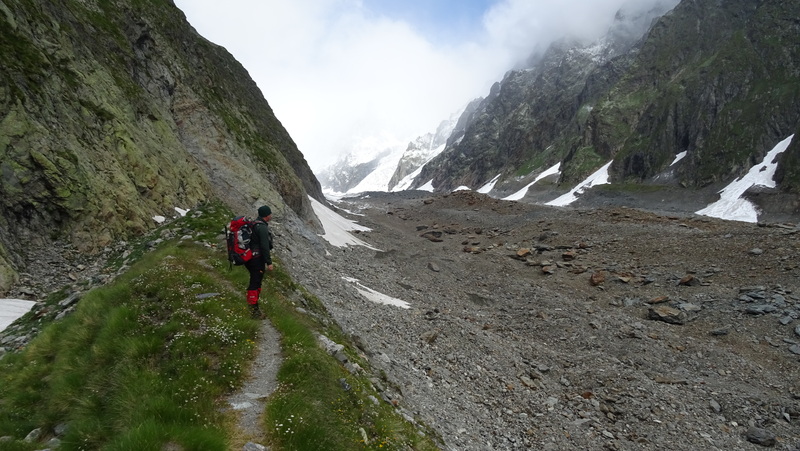 This is the largest debris-covered glacier in Europe and the longest in Italian Alps -10 km. 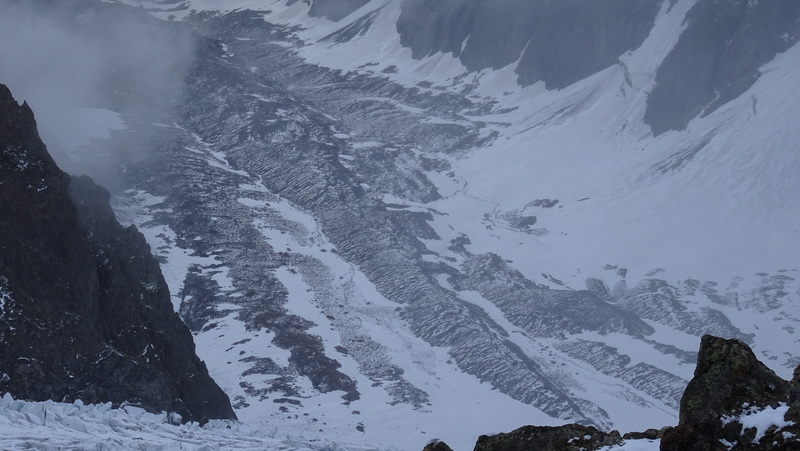 The surface of Miage glacier. 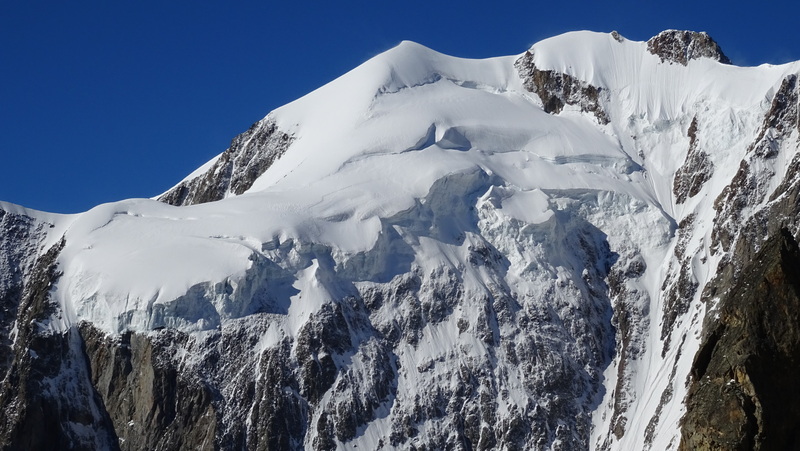 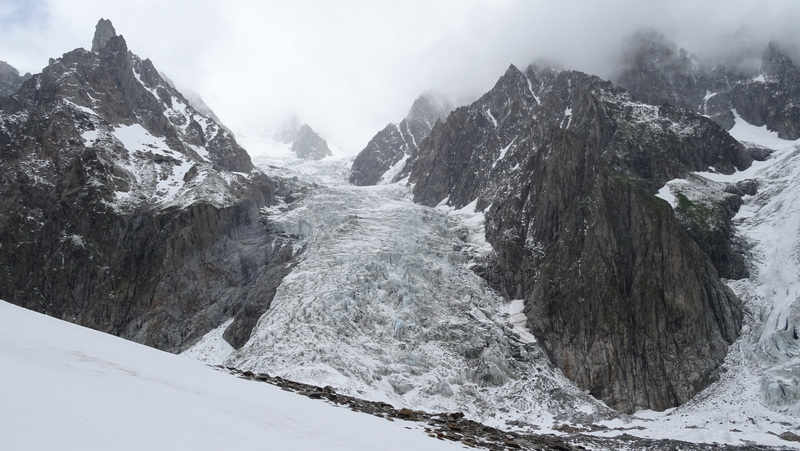 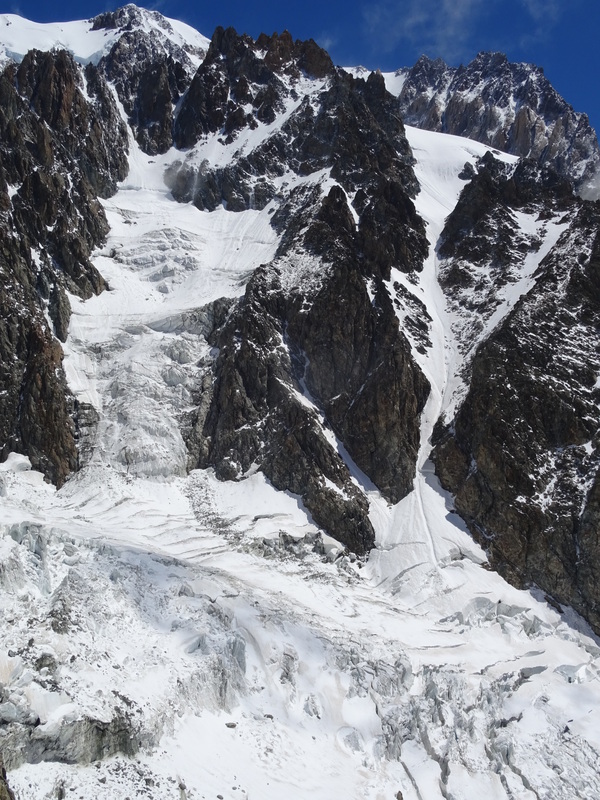 Mont Blanc glacier, with its tongue split in two by a fine example of nunatak. 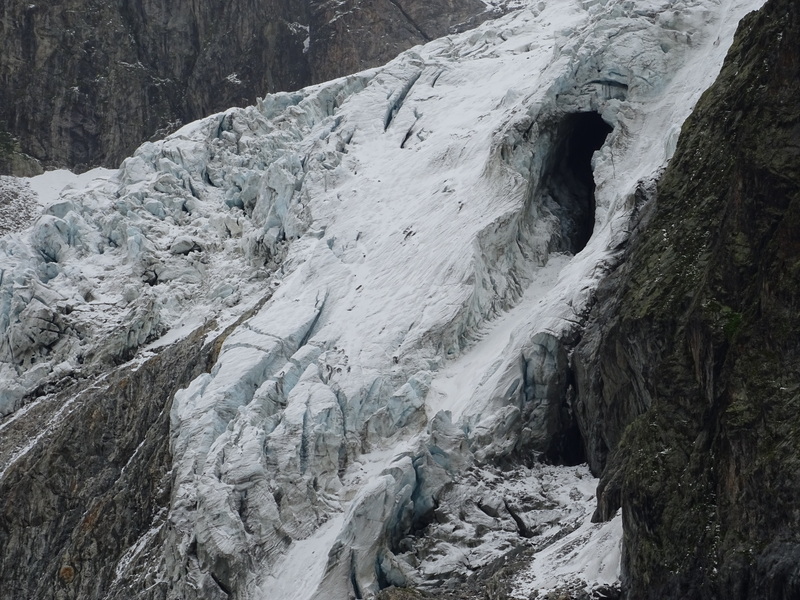 On the left part it can be observed an ice cave, formed by a subglacial stream. 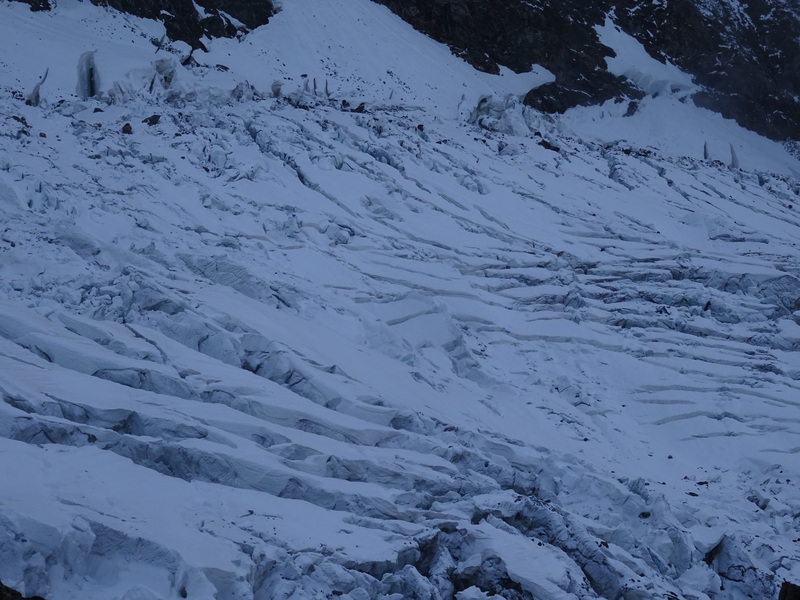 The lower part of Dome glacier. 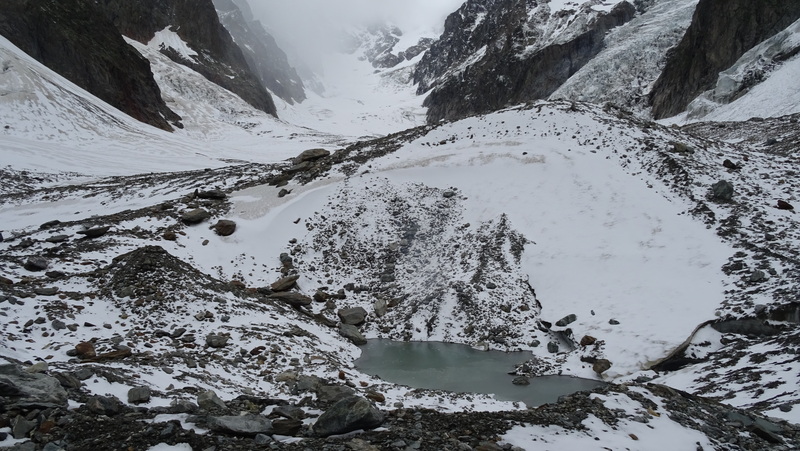 The confluence with Miage glacier is at 2500 m alt. 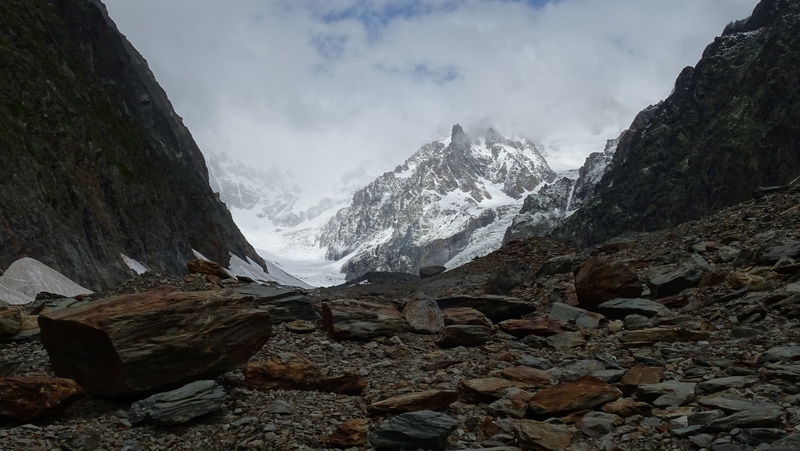 The U shaped valley sculpted by Miage glacier seen from the point where the trail up to Gonella hut leaves the glacier and continues over steep rocks, at about 2600 m alt. 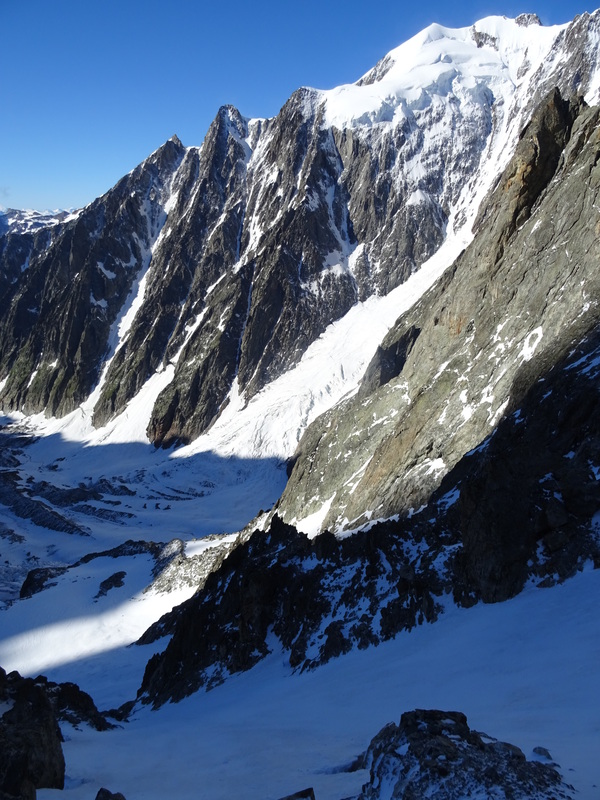 The NE face of Aiguille de Trelatete in all its splendour. 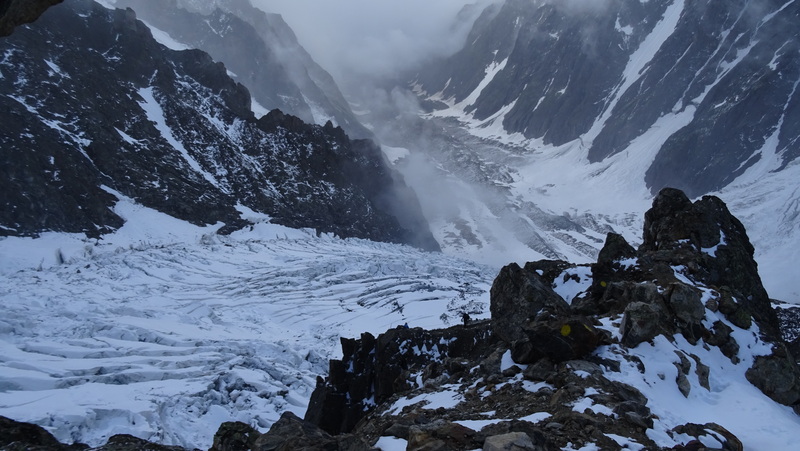 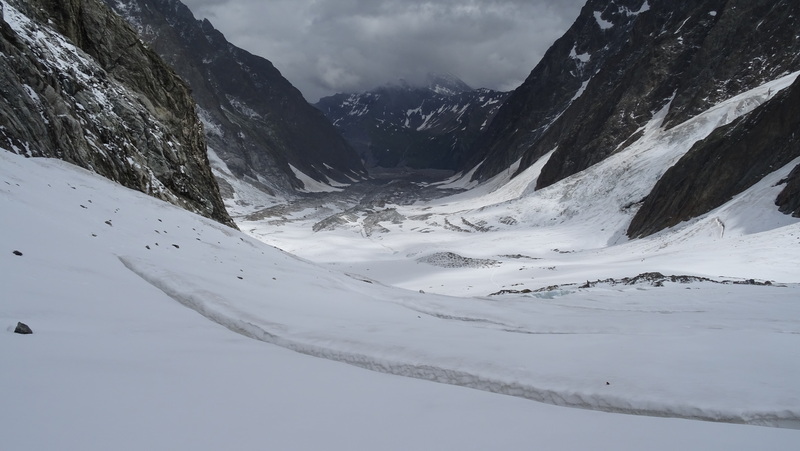 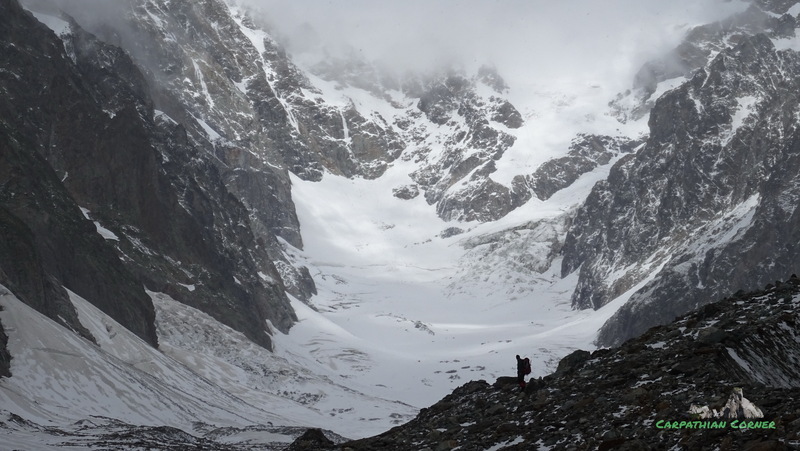 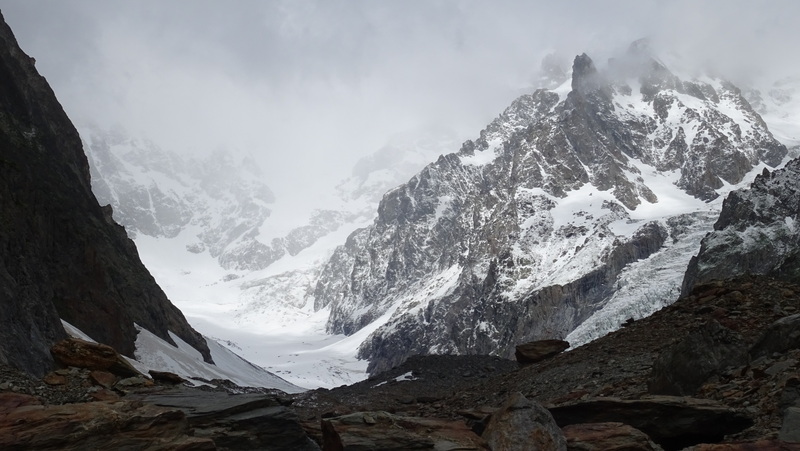 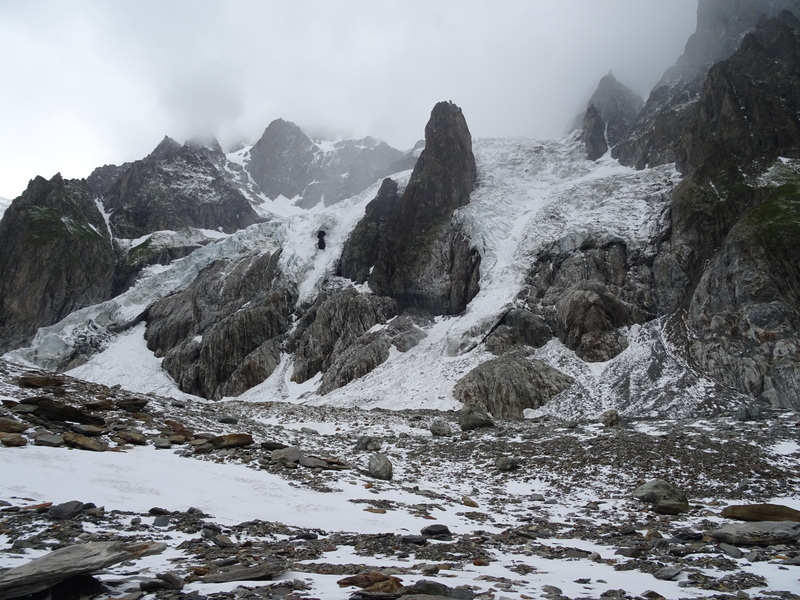 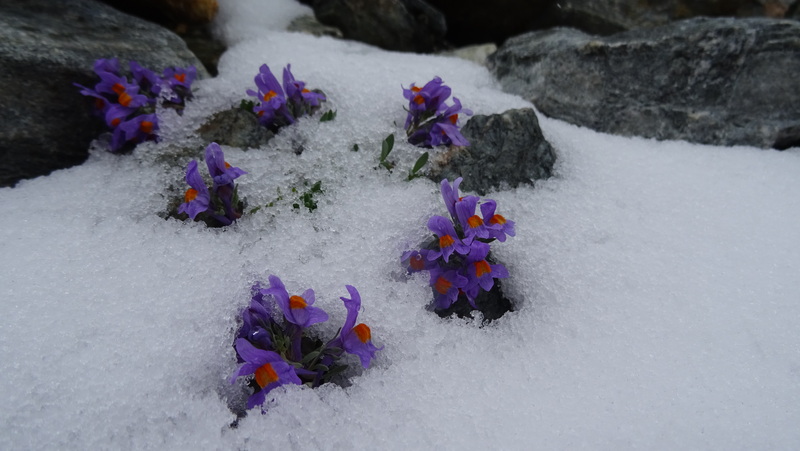 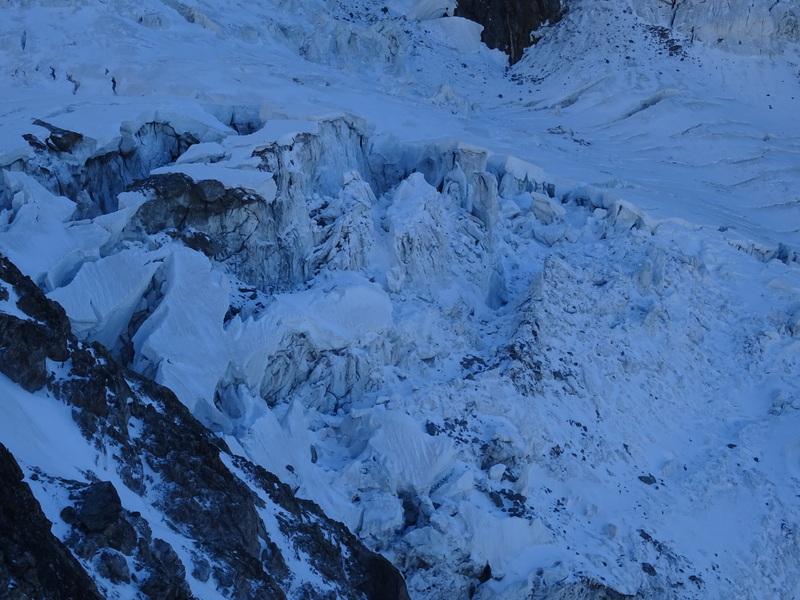 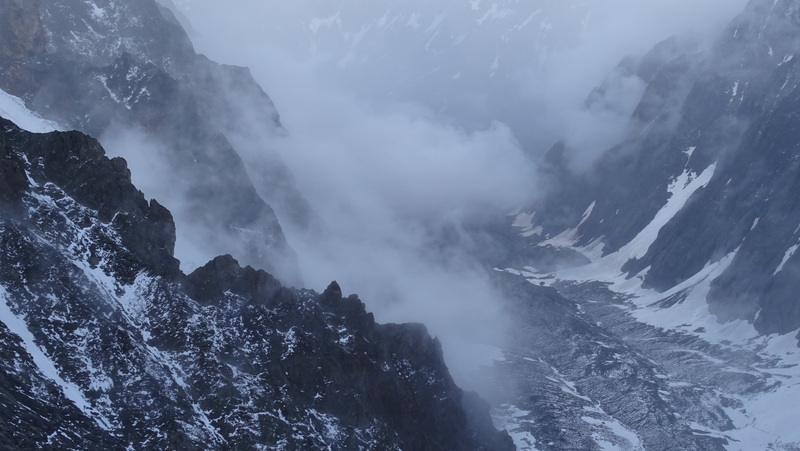 Its vertical drop over Miage glacier is impressive – 1400 m.